Jimmy Wanjigi: Police raided a wrong house in Malindi which belongs to two Italians brothers, Wanjigis' Villa was the 500M next. - Bana Kenya News, Real African Network Tubanane. 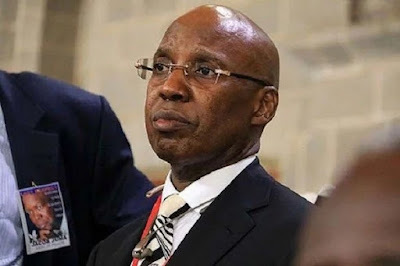 Home featured Mombasa Jimmy Wanjigi: Police raided a wrong house in Malindi which belongs to two Italians brothers, Wanjigis' Villa was the 500M next. Jimmy Wanjigi: Police raided a wrong house in Malindi which belongs to two Italians brothers, Wanjigis' Villa was the 500M next. Yesterday police raided a villa in Malindi which was speculated to belong to the NASA financier Jimmy Wanjigi. It is alleged that the Police raided the wrong house which belongs to two Italian brothers. According to the workers, the Police raided the house and went directly to a chamber where they recovered five rifles packed in a sack. According to Juma who has worked with the two Italians for 10 Years said that the chamber did not have that sack was one of them swept it just before the raid. "My friend swept it just an hour before the raid. There was nothing in the chamber. We have been working with the two Italians for a while almost a decade and we have not seen such things." the worker said. "We have had that it is a Jimmy Wanjigi house but the villa is the next one, not this one. We are surprised if he was colluding with our bosses. If they were implanting riffles to Jimmy Wangigi house then it is not this one. It is the next house." Juma added. According to our sources, the house that was to be raided was rented to a Dutch businessman. By the time the incident happened, the house did not have anybody. People are now asking themselves if the Police are now targeting NASA supporters after the President allowed demonstrations. Another Mp was also tracked by Police to her home and attacked her at the gate, unfortunately, they shot the wrong car. The Homabay Women representative Hon Gladys Wanga missed her death from the hands of the Kenyan Police officers last week as she claimed.